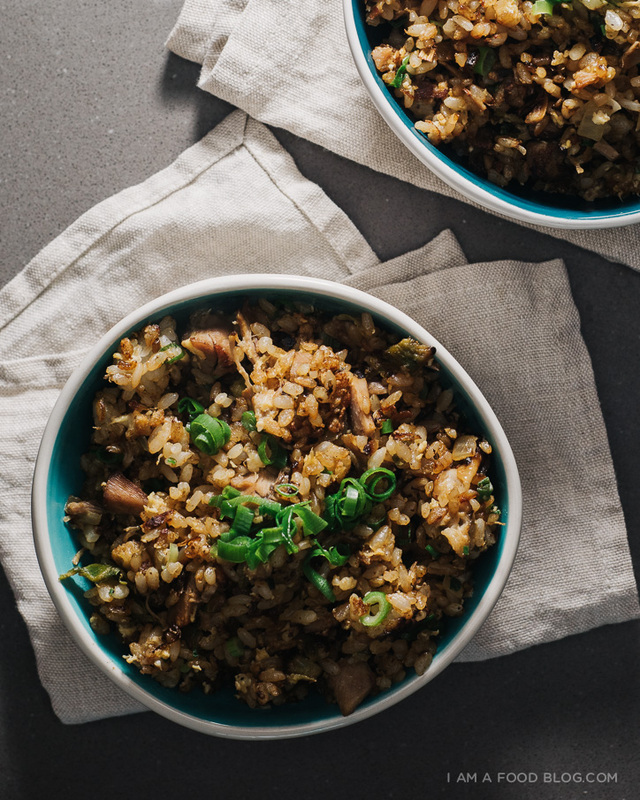 I’d say that people are pretty picky about fried rice: everyone has a certain way they make it and everyone thinks their way is best of all. 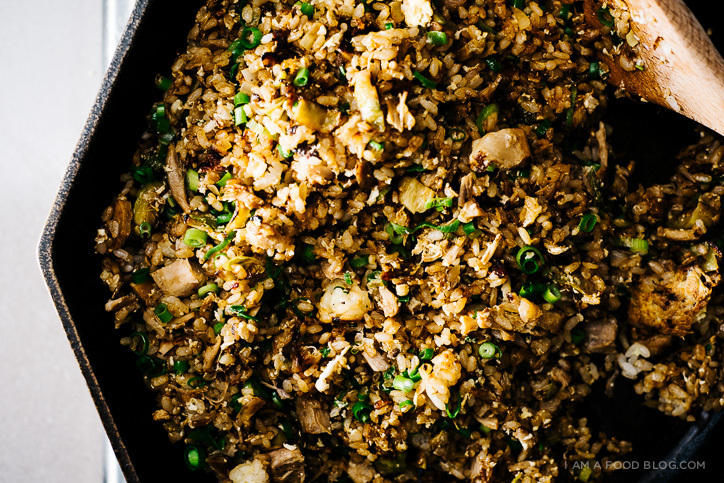 I’m actually love all styles of fried rice, but I’m pretty sure that if you grew up eating it, you’d say that your mom’s way of making fried rice is best of all. Growing up, my mom would usually make her rice with barbecue pork or chicken, onions, and peas. She’d never season with soy sauce, just salt. And her eggs were always pre-scrambled, fluffy and distinct. 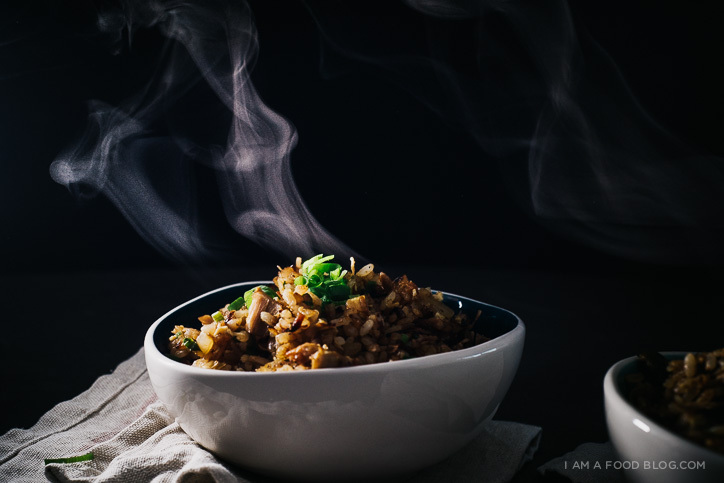 It was what I grew up eating and even now, eating a bowl of my mom’s fried rice makes me feel like everything’s right with the world. But, imagine my surprise when I discovered the other kinds of fried rice. There are so, so many. 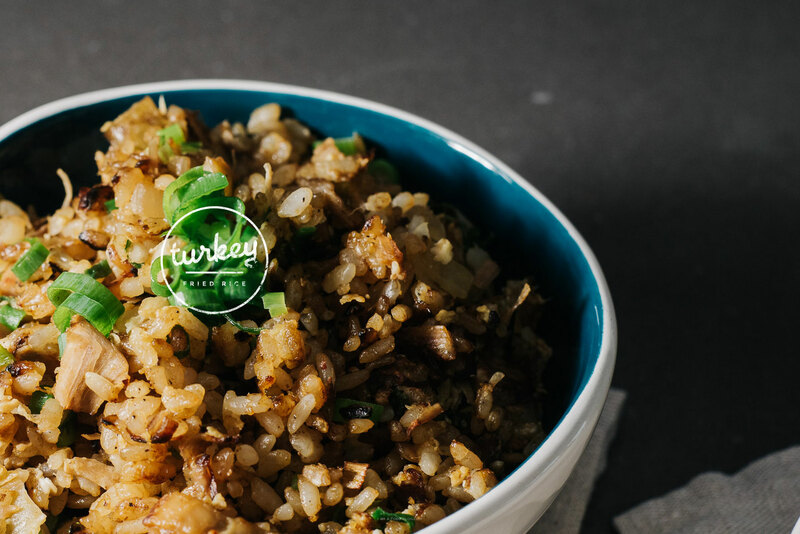 One of the defining features of fried rice are definitely the eggs. I’d say that there are three distinct ways of incorporating eggs: There’s the simplest, where you fry up a sunny-side egg, plop it on top and call it a day; there are curds that are cooked before hand and are distinctly visible as delicious pieces of yellow fluff in the mix; and there’s golden fried rice, where lightly beaten eggs are tossed in with the hot rice and stirred so that each kernel of rice is coated in egg. Sometimes people do this with egg yolks only, which gives the rice an extra golden hue, but for ease, I use the whole egg. I went the “golden” style for this rice, but I seasoned it with sweet soy sauce so it isn’t golden at all. 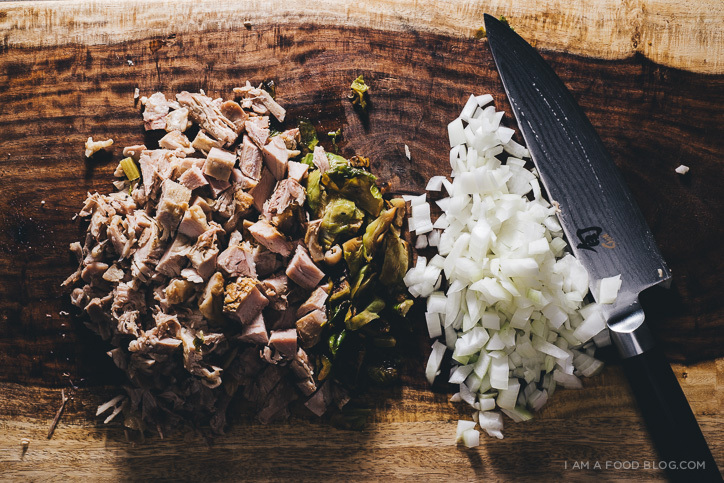 What it is: super savory, studded with tender turkey, and lightened up by copious amounts of green onions. Mike said it was one of my best fried rices yet, but then again, he’s always saying sweet things like that. 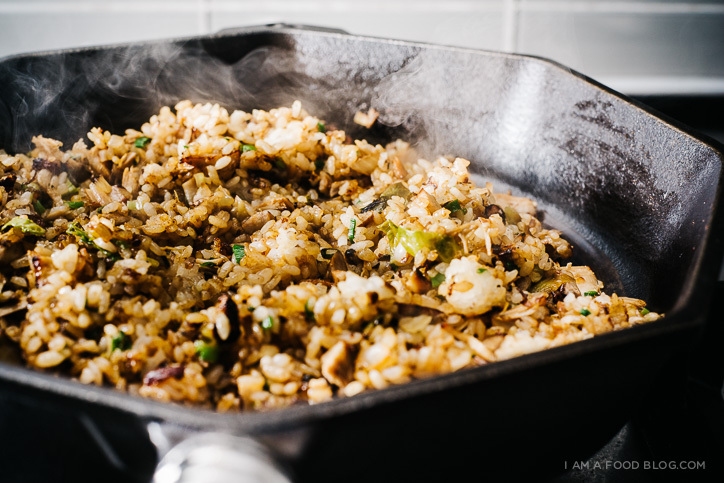 In a large skillet or wok, heat up a bit of oil over medium high heat and add the onion, vegetables and turkey. Cook, stirring occasionally, until onions soften and meat starts to slightly crisp up. Add the rice and fry, stirring occasionally and breaking up the rice until the rice is crispy and heated through. Pour the lightly beaten egg into the rice, stirring quickly to coat each kernel of rice with egg. Fry until egg is crispy and cooked through. Season with pepper to taste and garnish with sliced green onions. Enjoy hot! I’m almost tempted to cook up a turkey tonight (even though our turkey day isn’t for another month) just so that I can have a giant bowl of this tomorrow. heehee, you could always just use whatever meat you have in your fridge. ooooor, you could use deli turkey meat. my mom does fried rice with deli ham sometimes and it’s really good! ooh, always so hard to choose…leftover sandwiches are SO good too!!! Looks delicious! 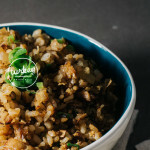 I kind of adore fried rice as it just reminds me of childhood! SO delicious and I love the use of sweet soy! What a fab way to use leftover turkey and have a whole different vibe. Of course I love friend rice, so my vote might not count. Ha. Seriously—good idea! I love this recipe. It’s a different take on Arroz con Pollo of which I am fond being Latin American. I will most certainly try this recipe. I used ground turkey instead as well as added a frozen vegetable mix. Turned out sooo good! My boyfriend and I loved it! I will absolutely be making this again! Adorable recipe! Thank you so much! I haven’t eaten turkey meat….